Tired of mountain climbers, sit ups and the boring old plank? No problems! In this article, I will be telling you about the best cable ab exercises that exist and how to do them. 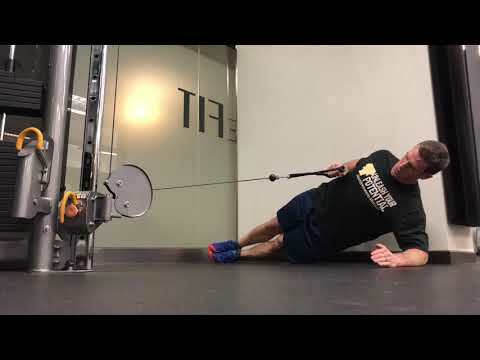 And for extra measure, I’ve included an example cable machine abdominal workout to help get you on your way to those washboard abs you have been dreaming of. Below is a collection of the best ab exercises that you can do with a cable machine. They target your core from all angles and offer a range of twisting, kneeling and standing movements. As with all exercises, form is key in getting the best results. To help you, I’ve included videos of each exercise, so you can’t go wrong. It looks easy, but don’t let this fool you! The aim of this exercise is to not allow rotation through your core, thus working your stabilizers. 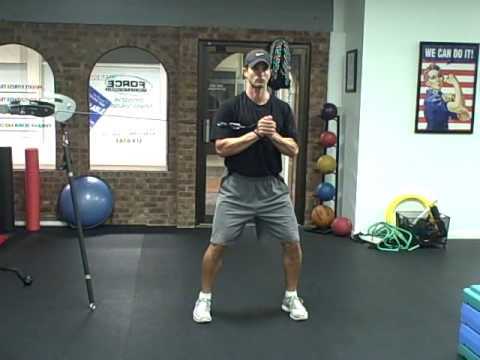 This exercise provides a variation of the standard crunch movement which includes resistance. It also places constant pressure on the core due to the overhead tension created by the cable. The standing cable crunch, as the name suggests, is the standing version of the exercise above. Because you are standing and have less stability, the standing version is the harder of the two cable crunches. This exercise is like the kneeling cable crunch, only you’re crunching from side to side rather than straight up and down. This places more load on your sides as opposed to your upper abdominals. One of my personal favorites – not only for the awesome core workout it provides, but also for the way it gets the heart racing! This is a great twisting exercise to target your obliques. A mean variation of the bodyweight reverse crunch! This one will have you begging for mercy. Just the way you like it! This is a fantastic exercise for targeting your lower abs. This exercise is an advanced movement which targets both your upper and lower abdominals at the same time. Get ready to feel the burn! You will require both sides of the cable machine/a twin tower for the cable tuck crunch. This exercise is great for training your waist and will test your balance too! Double whammy! This is not a beginner exercise. I repeat, this is not a beginner exercise! So, I promised you that there would be no boring planks in this article! And this is NOT your average plank! The combination of having to balance and pull gives your entire midsection a good workout. If the plank cable row wasn’t enough for you – try the side plank cable row. Same, same – but different. This exercise is often overlooked but shouldn’t be! It’s a very effective oblique exercise that provides constant tension and isolated muscle contraction. The cable side bend differs from the standard side bend in that it provides weight-bearing tension on the side you pull with, as opposed to the opposite side. Like your more traditional side bend, this version targets the opposite side of your core to the side you’re pulling with. Like your standard crunch on steroids, the bosu ball cable crunch will give you a good run for your money. Lie on the bosu ball with the small of your back curved around the top of the ball and your feet in a wide stance with bent knees. 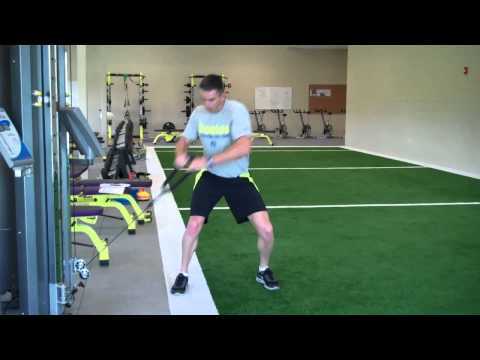 This exercise requires you to hog the cable machine and use both sides of it! The standing cable lift is a great compound exercise that creates exertion through your whole body, but with a focus on your core. 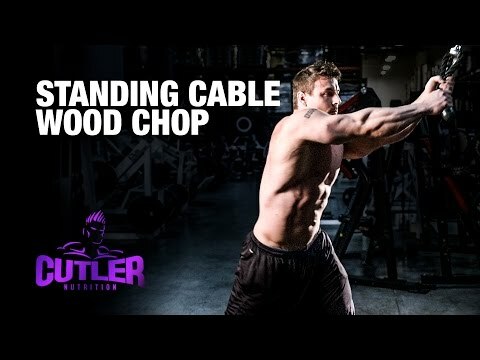 It’s can be compared to the cable woodchop, although in this exercise you’re pulling the cable from bottom to top. It is as cool as it sounds. This exercise will send your upper abs and obliques into overdrive! I’ve put together a workout that contains a few of the exercises I have covered in this article for you to try out. This workout is designed to hit your abs from all angles and develop strength, conditioning and shape through your midsection. This workout consists of 2 x circuits. Each circuit should be completed 3 times before moving onto the next one. Rest for 1 min and repeat x 3! Rest for 1 mins and repeat x 3! Don’t forget to check out the video links provided in the exercise descriptions, above. They will show you the right technique to ensure you get the best results from this workout and avoid injury. So, you’re now set with cable ab exercise for days! 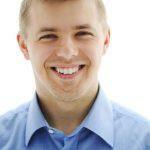 I hope you learned something new in this article and are looking forward to getting your core working hard. As you can see, the cable machine is a great tool for total all-encompassing ab workouts. 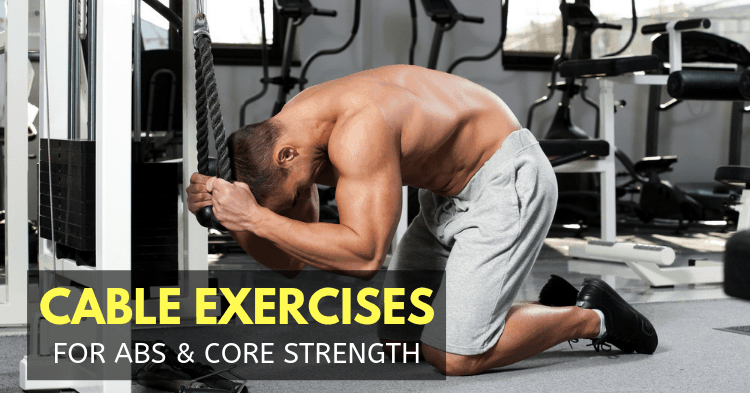 If you’re looking to develop good condition, strength and shape through your core, then these exercises are for you! Do you have a favorite ab exercise that you do with the use of a cable machine? Share it with our readers in the comments section below!